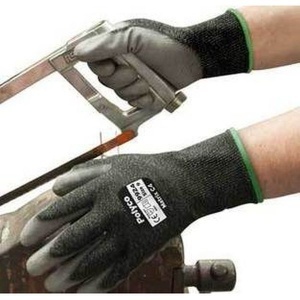 The Polyco Matrix C4 Seamless Cut Resistant Liner with Polyurethane Palm Coating is a seamless cut resistant liner with a polyurethane palm coating, offering outstanding fit and dexterity as well as cut level 4 protection. 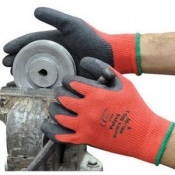 The C4 safety glove attains maximums EN 388 Mechanical Hazards scores in abrasion and tear resistance yet is extremely lightweight and flexible. 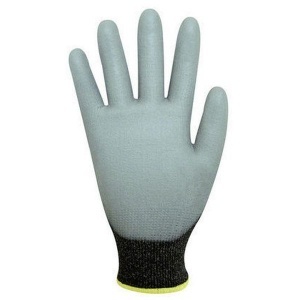 The breathable close fitting seamless knitted liner is made from an engineered yarn which contains glass fibre giving the glove its good protective properties while preserving comfort and sensitivity. 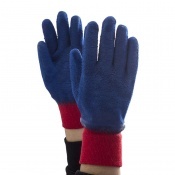 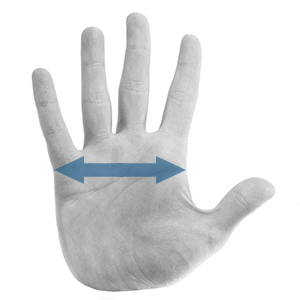 The elasticated knit wrist, whilst providing a secure fit, also serves to keep hands free from dust and debris. 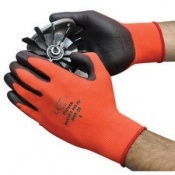 The incredibly resilient polyurethane palm coating is flexible and hard wearing, and has excellent gripping ability performing well in both wet and dry environments. 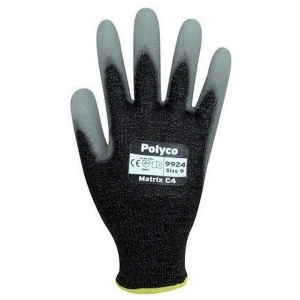 The Polyco Matrix C4 Seamless Cut Resistant Liner with Polyurethane Palm Coating is extremely durable and delivers good performance, reliability and value for money. 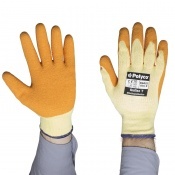 The product code for these gloves is 992. Attains highest scores for abrasion and tear resistance in line with EN 388 Mechanical Hazards testing.